The Cabal of the Black Sun stands as one of the more recent examples of a concerted effort to forestall death. 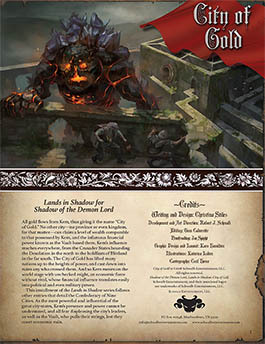 A society made up of deranged wizards and other users of magic, they plunged headlong into darkness after recovering the fabled Black Sun Manuscript, an ancient tome brimming with evil. Using the writings as the basis for their study, they conducted unspeakable experiments, spawning horrors beyond imagining as they sought to find the key to immortality. Black Sun Dawn reveals this dreaded society, exposing their mad designs and the deranged products of their wicked labors. With this installment of Legacy of Shadow, you can introduce a new threat, one that would reshape the world into its own vile image. 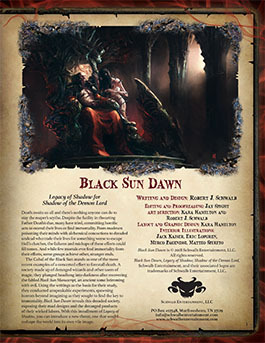 Pick up Black Sun Dawn in PDF on Schwalb Entertainment or DriveThruRPG today! It usually begins with random dissections of farm animals, such as pigs, cattle, and even horses. After that, the children go missing—the foolish or the unwanted, the strays and orphans who won’t be quickly missed. Soon, though, they’re found in the same condition as the mutilated livestock, precisely divided into so many oddly shaped parts, spread out and arranged in mysterious patterns, the cuts and slices impossibly neat, well beyond the skill of the finest chirurgeon in Rûl. For those few who know the meaning behind this, the strange, bloody remains are an obvious sign: the reen have arrived, with an obsessive curiosity that drives them to brutal and horrific experimentation on the denizens of Urth. 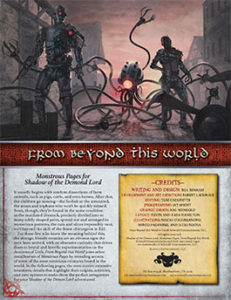 From Beyond this World joins other installments of Monstrous Pages by revealing secrets of some of the most notorious creatures found in the world. 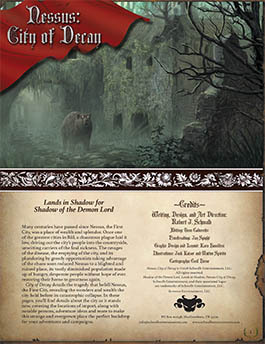 In the following pages, the reen receive extensive treatment, details that highlight their origins, activities, and new options to make them the perfect antagonists for your Shadow of the Demon Lord adventures! Pick up From Beyond This World in PDF from Schwalb Entertainment or DriveThruRPG! Magicians display the widest range of capabilities of all characters who follow novice paths, thanks to the spells they learn from the magical traditions they discover. 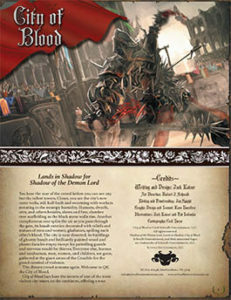 One magician might delve into the darkness of Necromancy, creating undead thralls to protect and accompany her on her adventures, while another could pick up a sword and find the magic in it, discovering the Battle tradition to enhance his fighting abilities. Until now, magicians differentiated themselves largely by their spells, but In Pursuit of Power offers them much more flexibility and versatility. Now, magicians can swap out the talents they would gain from their novice path for those related to the traditions they’ve discovered. As a magician, your talents could reflect your growing mastery of your particular traditions, providing new choices and abilities beyond those available in Shadow. If you have what it takes to learn and wield magic, unleash your newfound potential with the latest Paths of Shadow entry: In Pursuit of Power! 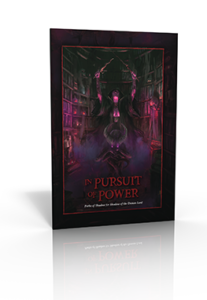 Pick up In Pursuit of Power in PDF at Schwalb Entertainment and DriveThruRPG today. In print soon! Scholars point those curious about the faeries and their ilk to old tomes whose parchment pages hold ancient stories and legends, but the best source of knowledge is the folklore hiding in plain sight. The weary midwife who mops away the tears after losing another beautiful babe to the Goblin King, the portly farmer who scratches his head in wonder over his singing swine, and the stable-boy who keeps an iron nail over his heart lest the pooka get him again—such commoners brim with tales, gossip, and first-hand accounts of the Fair Folk, for they’re the most likely to run across such beings in their day-to-day lives. As outlandish and strange as their customs might be, a traveler would always do well to listen and learn, for the faeries are a tricksy breed, filled with malicious mischief. 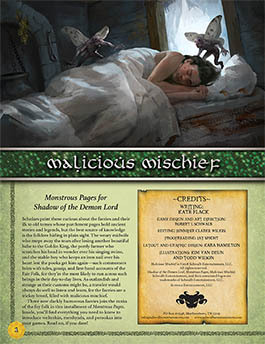 In Malicious Mischief, three new darkly humorous faeries join the ranks of the fey folk in this installment of Monstrous Pages. You’ll find everything you need to know to introduce welterkin, menhyads, and perookas into your games. 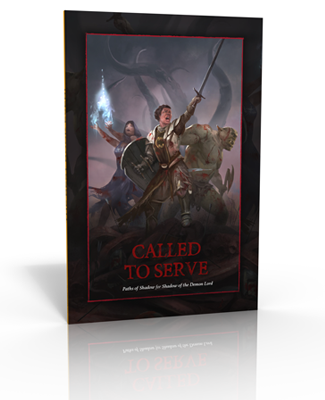 Buy the PDF today on Schwalb Entertainment and DriveThruRPG! In the Emperor’s Secret Service reveals a clandestine organization founded to look after the Empire’s interests. Called the Compact, this group strives to maintain stability and stay ahead of the Empire’s enemies. With the Empire in turmoil and the Orc King Drudge seated on the Alabaster Throne, the Compact struggles to put right what has gone horrifically wrong. 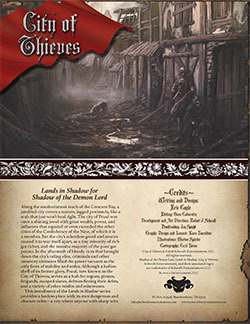 With this supplement, you can introduce a whole new element of intrigue into your Shadow of the Demon Lord campaigns! 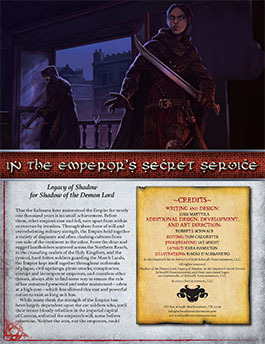 Buy In the Emperor’s Secret Service in PDF at Schwalb Entertainment or DriveThruRPG today!